Teaching Experience : Jeremmy has taught Public Law at University of Kent’s Law school since 2014. He is a qualified Attorney and an Associate Fellow of the UK Higher Education Academy. 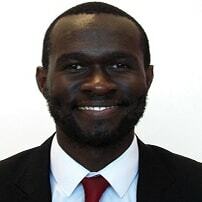 Currently completing a PhD Law program at Kent Law School, Jeremmy also holds a Master of Laws (LLM) degree (Distinction) from University College London, where he specialised in International Banking and Finance Law. He also holds a second LLM Degree from University of Nairobi, where he specialised in Constitutional Law. He also holds a Post-Graduate Diploma in Law from Kenya School of Law, and a Bachelor of Laws (LLB) degree from University of Nairobi. As an Attorney, Jeremmy has practiced law for over 6 years, engaging in advisory, transactional and litigation briefs. He has extensively litigated constitutional law, human rights, judicial review, administrative law and election law cases. He has also engaged in advisory, transactional and compliance aspects of corporate and commercial law, banking and finance law, property and conveyancing law, and intellectual property law. Jeremmy brings into law teaching a confluence of teaching, research, legal practice and government policy experience, to give the law student an all-rounded and transnational understanding of the Law and legal discipline.